The BF20 delivers unrivalled innovation to the portable range. It's a powerful, efficient and clean operator! With a high output 350cc displacement and long-stroke design, the BF20 is a top performer, providing optimum torque at any speed.Programmed Ignition (PGM-IG) also accurately controls ignition timing during start-up and across the entire rev range for optimum overall operation. A 12amp (electric start) alternator also ensures excellent charging power to keep batteries in top condition.Thanks to its incredibly lightweight design, the BF20 is also very easy to transport. A foldaway handle positioned at the exact balance point of the engine makes it easy to carry in a level position. 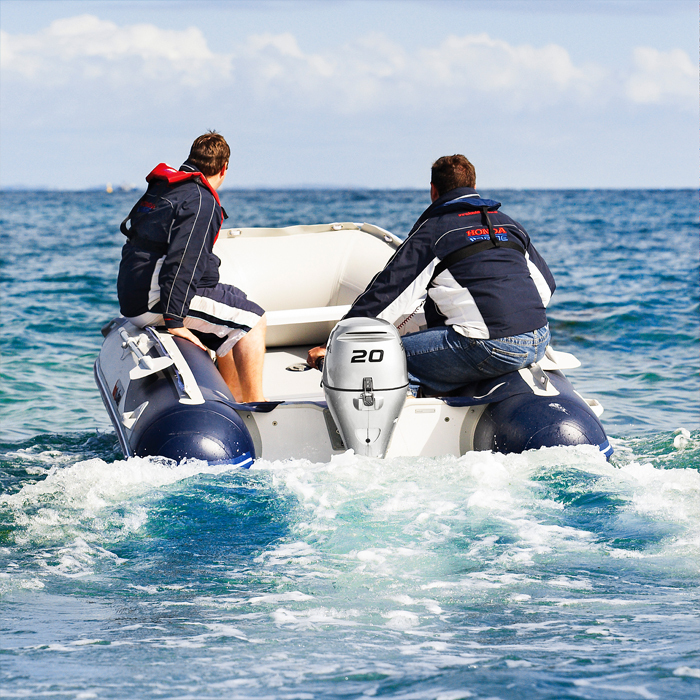 The BF20 is equipped with Power Tilt and Gas Assist Tilt variations - perfect for effortless engine tilt operations and shallow-water running.Cruising is improved and more comfortable with Honda's unique pendulum-motion mounting system. This system is specially designed to reduce vibration and maximise user comfort.A convenient Forward Mount Shift Lever allows fingertip shifting, while a Twist Grip Throttle and Tensioner ensures superior throttle friction, minimising driver fatigue. 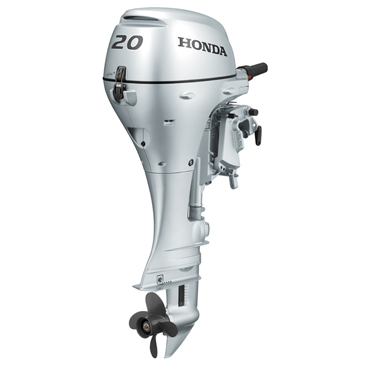 Honda's world-renowned engineering combines proven reliability and superior fuel efficiency, with no oil mixing, resulting in a healthier experience for you and the environment.And while conventional two-circuit carburettors go directly from a lean mixture at idle to a rich setting at full throttle, the BF20 adds a third, middle stage for better economy and smoother, stronger operation.The BF20 also features an integrated warning system, designed to protect the engine from severe damage due to low oil, over-revving or overheating. A crankshaft-driven, automotive-style trochoid oil pump ensures the long-term durability of critical engine components.Honda's patented 'double sealed' multi-layered paint process means that the BF20 is also protected from corrosion. 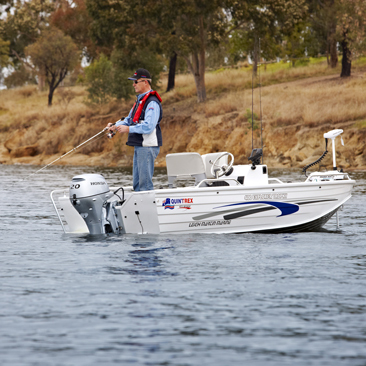 Sacrificial anodes and stainless steel technology, along with waterproof connectors, all work together so you get the most out of your engine.And with a 5 Year Warranty and 100 dealers located around Australia, no matter where your Honda BF20 takes you, you'll go there with peace of mind.